After eight days in Taipei the three of us headed south to the city of Tainan. Our ever thoughtful Chienya was worried that we would be bored in Taipei, so she arranged for us to visit the “Kyoto” of Taiwan for a couple days before we headed off to Hong Kong. I guess she forgot that we would be happy anywhere as long as food was being shoved in our faces. We’re really grateful that she took us to Tainan because there were new food items to be stuffed in our faces there. 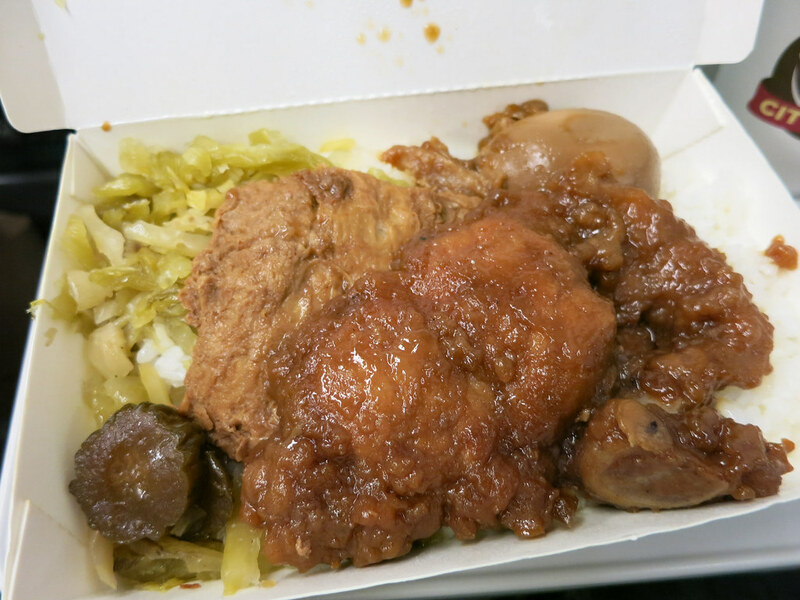 A train ride isn’t complete without a Taiwanese pork chop bento box. Pork chop, veggies, marinated egg over rice. I think I prefer the Japanese bento boxes. I was excited to ride the Taiwan High Speed Rail since train travel is one of my favorite modes of transportation. 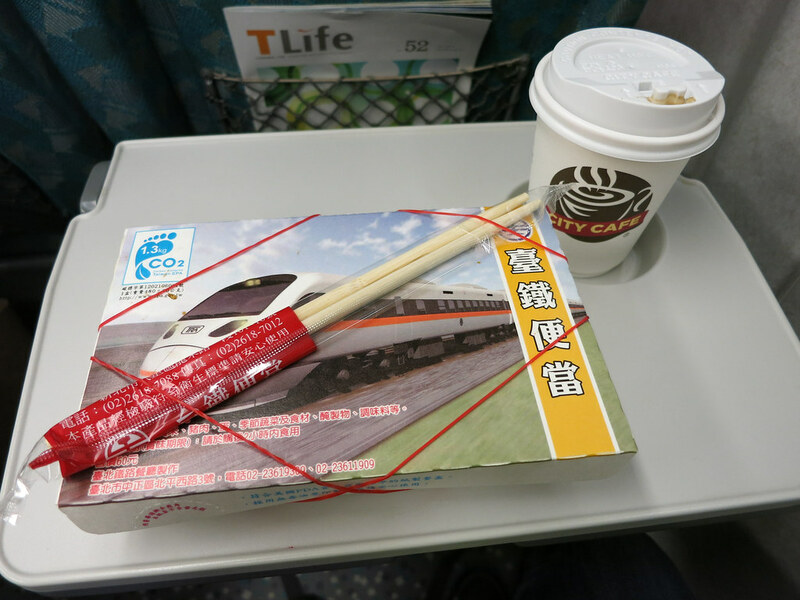 The THSR is modeled after Japan’s bullet train system and the ride was rather enjoyable. It’s not as fancy as the last shinkansen that we were on when we traveled from Tokyo to Kyoto, but it’s respectable. The price for our one-way ticket from Taipei to Taichung, a 1 hour and 45 minute ride, was about $50 USD per person. Not bad. After you arrive at the Tainan Rail Station, you have the option of taking a free shuttle bus or a paid metro train into the heart of the city. We opted for the free bus cuz we’s po! It was also closer to our rental apartment, so that worked out perfectly. Our first meal: Taiwanese sausage, grilled eggplant, shrimp and pork sticky rice. 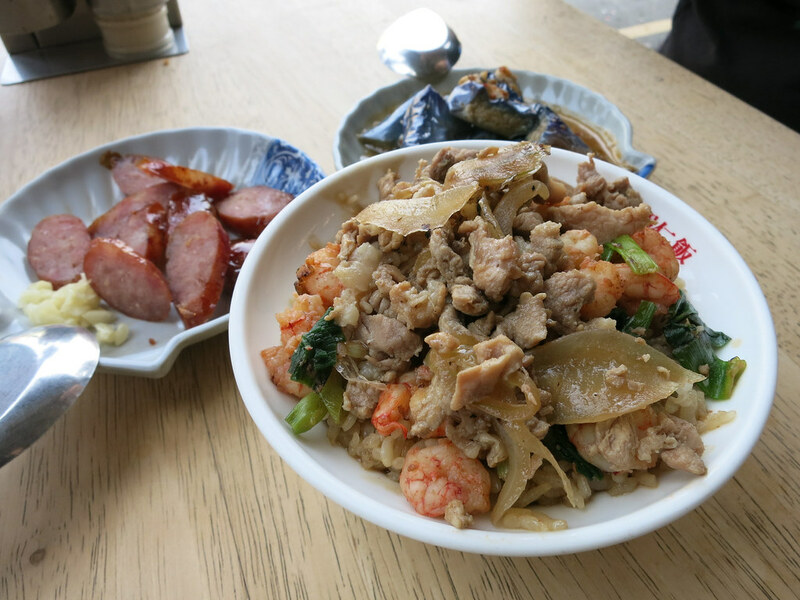 All of our friends from Taipei told us that the food in Tainan is especially delicious. Luckily our former NYC roommate was raised in Tainan so she made sure Chienya took us to eat all of the great food that Tainan is known for. 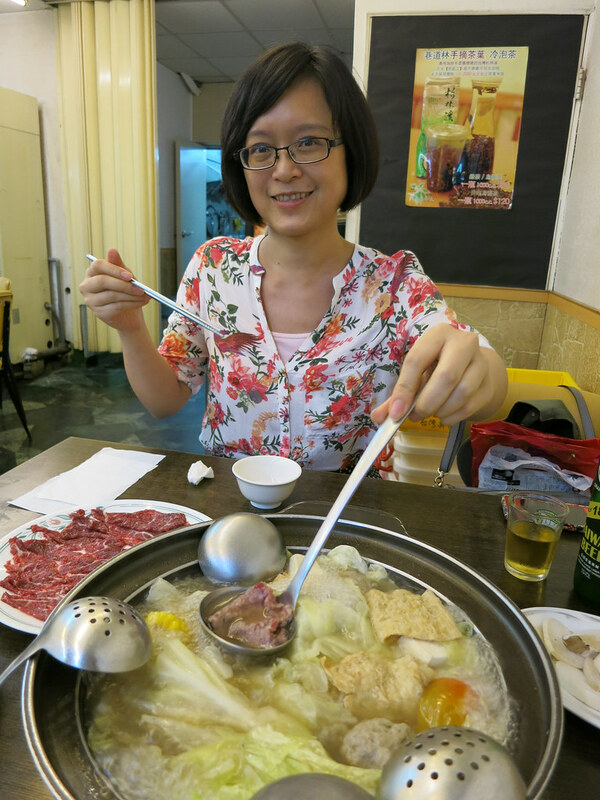 It also helped that Chienya has been to Tainan before and was rather familiar with most of the tasty food spots there herself. 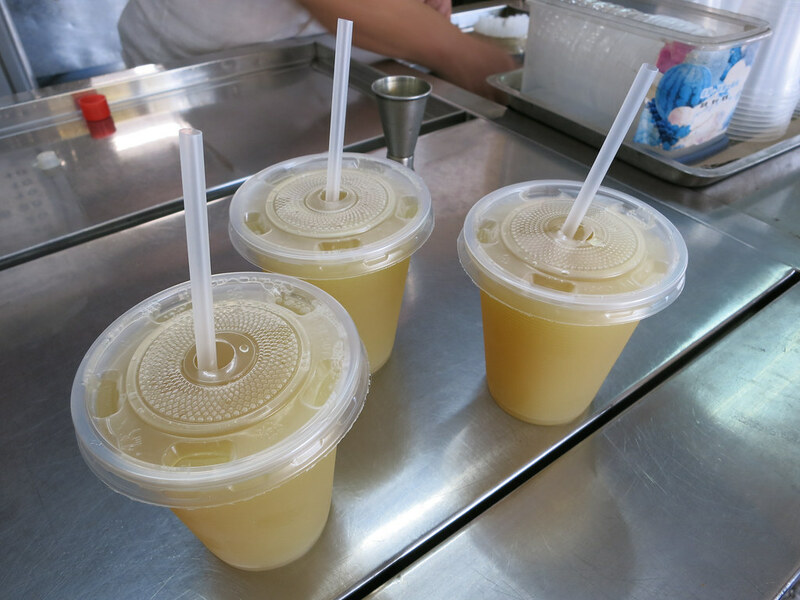 Sugarcane with lemon drink. 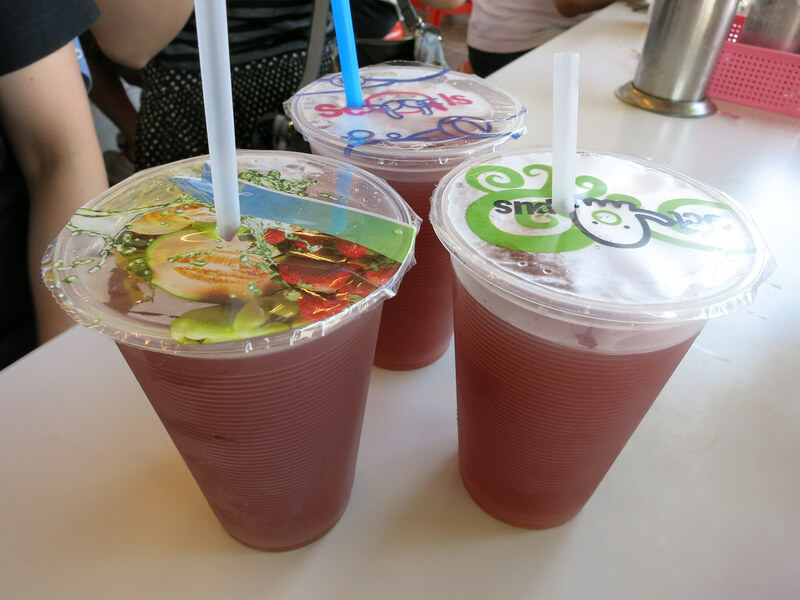 I’m glad the drinks there are so cheap because it’s damn hot in Tainan. One of the spots that Chienya took us to was Yonlin Restaurant for a much anticipated fresh beef hotpot. 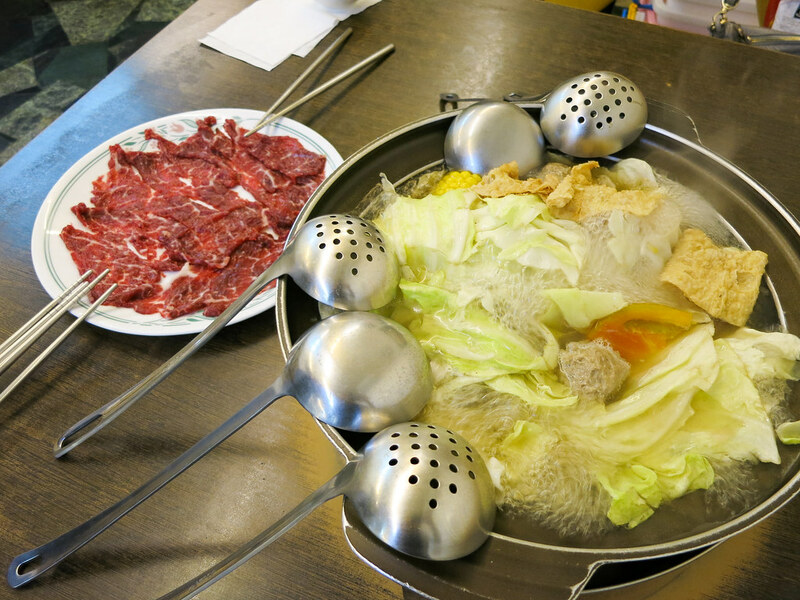 According to Chienya, a professional hotpot eater, the beef at Yonlin is fresh and never frozen unlike other hotpot places in Taiwan. I don’t know what I’ve been having my whole hotpot-eating life, but this beef was fantastic! It’s tender and flavorful with just the perfect amount of fat-to-beef ratio. Divine! There’s a branch in Taipei too, but we heard it’s the same food with a higher price tag. 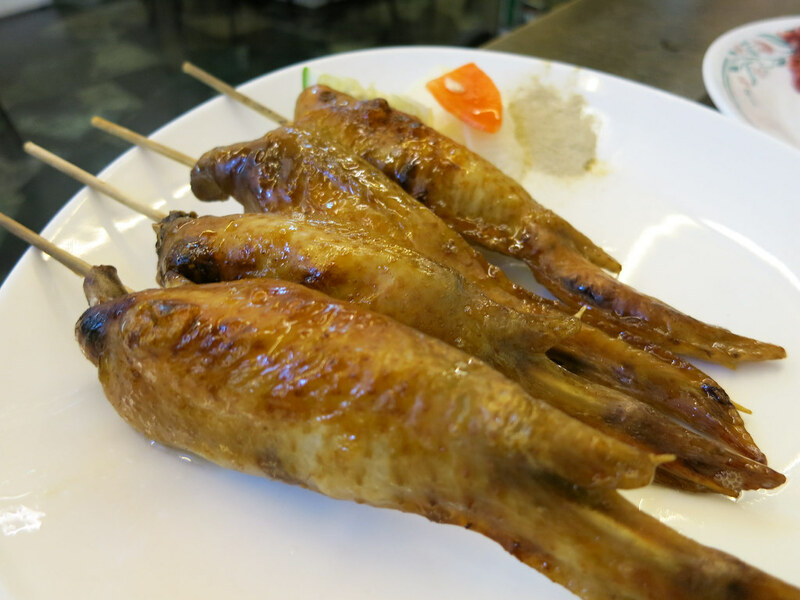 But if you can’t make it to Tainan for this meal then you should fork over the money and eat it in Taipei. The other dishes we ordered were delicious too, so even if you’re not a big beef eater you won’t go hungry there. Oh, and don’t forget to try the 100% beef balls. Delish! I’d also recommend that you go here with a lot of people so you can try as many dishes as possible. The three of us only managed to finish six dishes. What a pity. 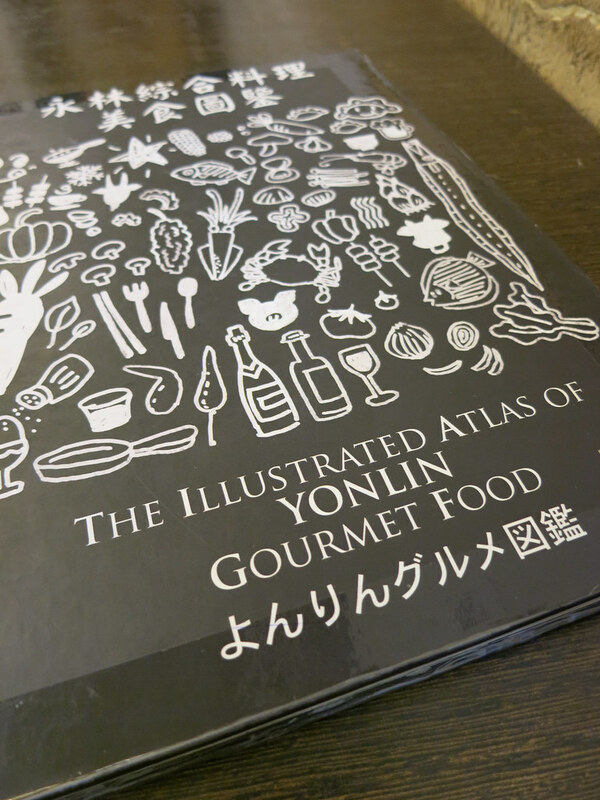 They have an entire atlas for their menu! Delicious raw beef waiting to be swished in the hotpot.